Three quick and easy wall hangings that are just the right size to fit in any room of your home. The each finish 14" x 28". Great quilts for the Spring and Summer months! 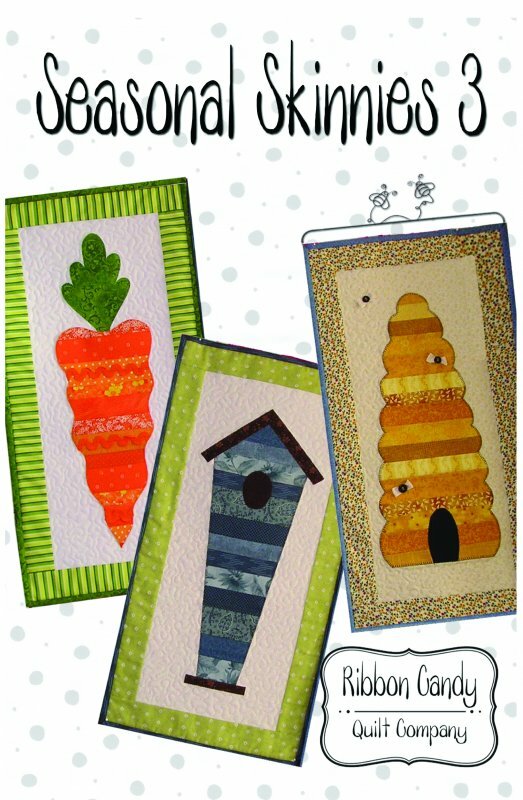 By using scraps from your stash you will be able to create these fun seasonal wall hangings in just a couple of hours. Just remember, there's always room for more Skinnies! !